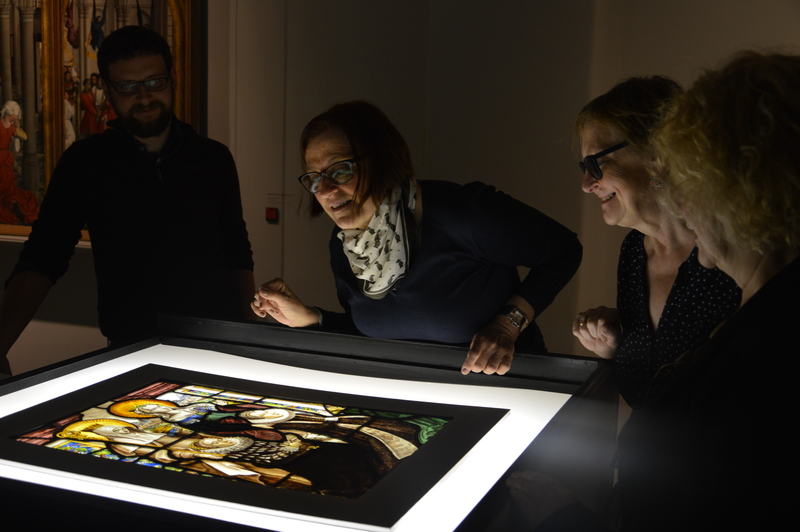 M – Museum Leuven and the City of Leuven have acquired an early stained-glass window by 17th century Flemish master Jan de Caumont. 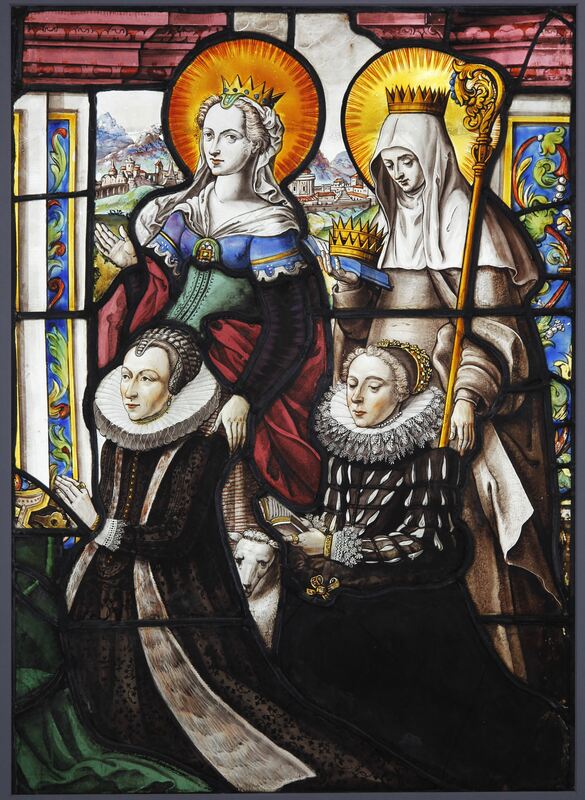 Leuven was a center of stained glass production, and while the museum has an extensive collection of pieces from the 15th through the 19th century, it had no single important stained glass window by Jan de Caumont. This piece plugs a major hole in its collection and will join its series of 27 Caumont glass medallions on display. Jan de Caumont was born in Doullens, Picardy, northern France, in around 1577. He moved to Leuven, then in the Duchy of Brabant which was part of the Spanish Netherlands, and became a citizen in 1607. He married a local girl, Anna Boels, whose family owned a prominent glass workshop. Jan went to work for his wife’s uncle Simon in the workshop and made a name for himself as a glass painter. In 1626, he took over the company and was appointed the official glass painter of the City of Leuven. He was commissioned to make stained glass for churches and monasteries in Leuven and all over the duchy. His most famous work was a series of 41 windows he made for the Premonstratensian cloister of Park Abbey, a monastery in Heverlee, two miles south of Leuven. Abbot Jean Maes commissioned the windows depicting scenes from the life of Saint Nortbertus, founder of the order, in 1635. Installation was complete by 1644. The monastery was disrupted by the French Revolution and Napoleonic wars, so much so that in order to revive its fortunes, the monastery sold all 41 windows in 1828. They wound up dispersed in museums and private collections in the UK and US. In the 20th century, three complete windows and several pieces were returned to Park Abbey and are now back in the clerestory bays. The stained glass produced in the Low Countries in the late 16th and early 17th centuries was different from the medieval style in that artists actually painted on the glass rather than composing a mosaic from pieces of different colored glass. This approach allowed painters to create fine details on panes of glass without thick black lead lines. Jan de Caumont painted grey monochrome details (a technique known as grisaille) on both sides of the glass. On the outside, he applied several shades of silver stain and translucent flesh tones. On the inside, he used shades of blue and purple enamel and opaque red paint. To make green, he combined blue enamel on the inside and silver on the outside. Those techniques are in fine evidence on the window acquired by the M. Made in 1618, it is a rare example of a window from the early part of his career before his appointment as the city glass painter. It’s a donor window, which makes it even more rare since there are few Flemish donor windows and they’re usually smaller than this one or part of a historical building. The donor in question was Margaretha Vekemans, wife of Alexander van den Broeck, a treasurer of Antwerp and one of the wealthiest men in the city. Margaretha and her daughter are depicted in the window. Dressed in the most fashionable finery of the era, with ermine sashes, lace cuffs, majestic ruffs and jewelry, the ladies are on their knees praying. Behind them stand St Agnes and St Elizabeth of Hungary, respectively embracing mother and daughter. There is a corresponding window featuring Alexander van den Broeck with St John the Baptist. It is now in the church of Saint Gwenllwyfo in Llanwenllwyfo, Anglesey, Wales. 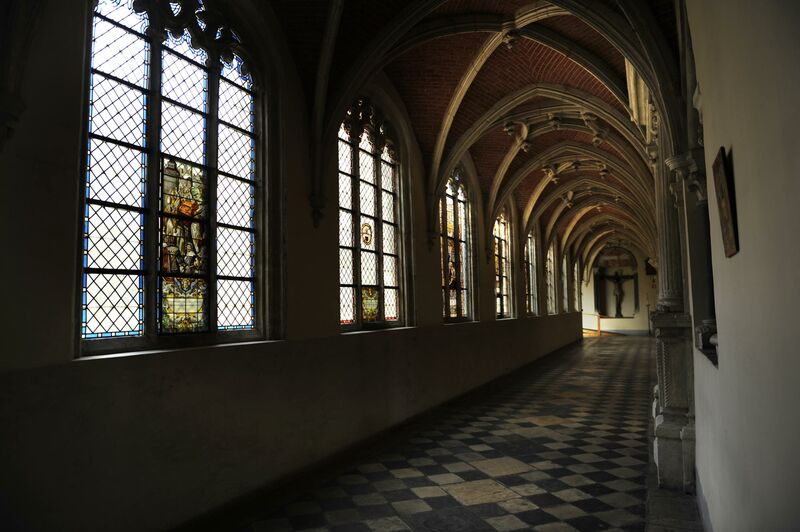 Originally both windows are believed to have been donated by the Vekemans/van den Broeck family to the Carthusian monastery in Lier. It was a common practice for wealthy donors to give something beautiful, expensive and very clearly identifiable as coming from them to their favorite church or monastery. This entry was posted on Tuesday, July 19th, 2016 at 1:45 AM	and is filed under Modern(ish), Museums. You can follow any responses to this entry through the RSS 2.0 feed. You can skip to the end and leave a response. Pinging is currently not allowed. Date in third paragraph should not be 10th century but 20th century. With hindsight, it might have been luck to have sold all 41 windows in 1828. Not only in the French Revolution and Napoleonic wars, but particularly in WWI –and as far as Leuven is concerned, presumably WWII also, a LOT of glass has been broken there. Al dreigen zij zijn vrijheid met kloosters en geschreeuw. Great article, thanks as always. Stained glass can make entering a church truly magic, which is probably the idea. And I’d never heard of the Premonstratensians. Fascinating in their own right (er, rite). Perfectly Splendid! Having worked with my husband on stained glass,(but only the leaded kind) I can see how talented this painter was! Thank goodness these windows were saved from wars and men..but it is sad that they are dispersed and no longer in a magnificent set. I LOVED the lamb of God peeking from between the mother and daughter, which I noticed only when studying the enlarged photo bit by bit.